Retro Cabinet in the classic Orange colour. 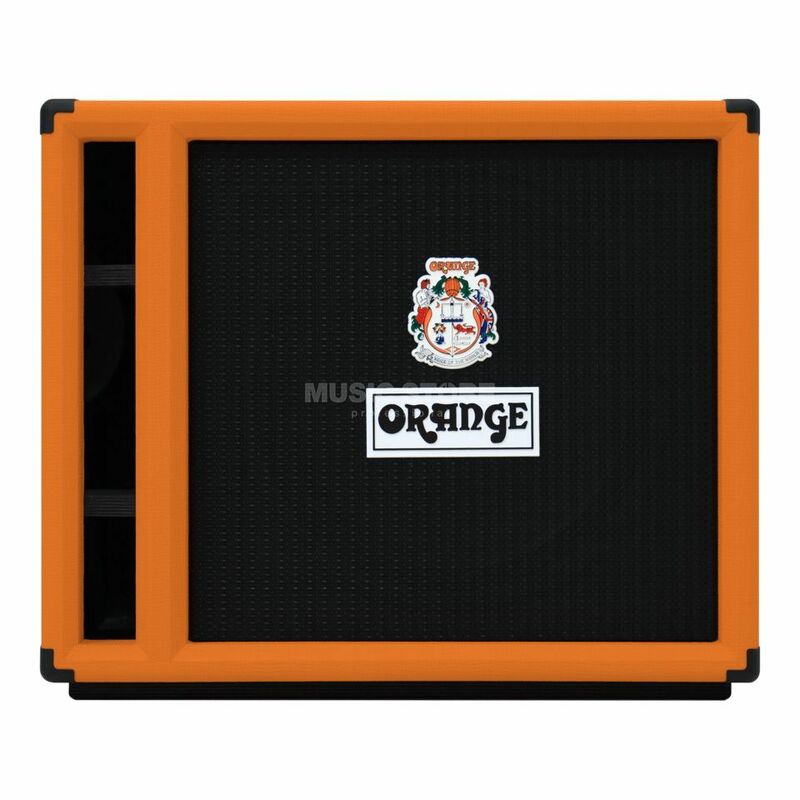 The Orange OBC115 Bass Guitar Speaker Extension Cabinet, 1x15, 400 Watts rating. Classic Orange sound, style and rugged construction. The Orange OBC115 Bass Cabinet has a superb 15 inch bass enclosure made from 13-ply high density 18mm birch wood, with tough skids on the base of the cabinet for enhanced stage connection. This hi-tec designed enclosure is side ported and provides for speaker 'self correction.' Internally strutted to avoid cabinet vibration, this enclosure will not rattle, sounds amazing and wil extend the bottom end sound of the OBC410 enclosure. This OBC 115 version has the classic Orange Cabinet style.